After announcing the series a few weeks ago, Gucci Mane has actually pulled off the release of his World War 3D series. 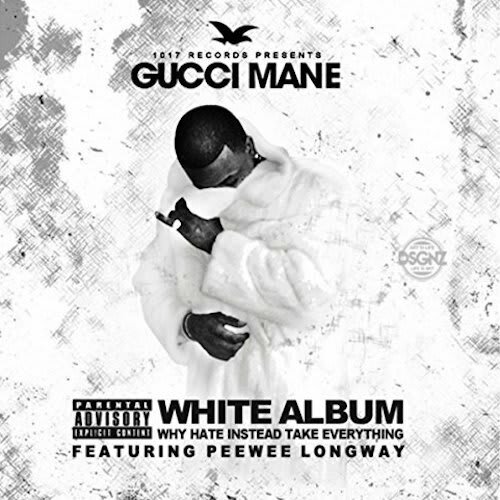 Containing old music that is presumably from their tenure at Gucci&apos;s 1017 Bricksquad, the series spotlights Young Thug, Migos and Peewee Longway. It is easy to see why Gucci chose these five young artists at an early point in their career, as their personalities and flows are displayed prominently. On The Green Album with Migos, the listener will see the birth of the popular "Migos flow," The White Album with Peewee Longway, introduces the lesser known rapper from "New Atlanta," and Young Thug&apos;s The Purple Album is a love letter to Thug&apos;s old Lil Wayne influenced style. Stream the albums below. RELATED: Watch Migos&apos; Video For "Fight Night"